As many of you know, my husband is from the coastal state of Veracruz. The state borders the Gulf of Mexico and has been influenced by trade from Europe and Africa for centuries. The cuisine of the Veracruz region is a direct reflection of this influence. Many recipes incorporate ingredients like plantains and peanuts (from Africa), as well as olives, olive oil, and capers (from Spain). On one of my first trips to Poza Rica, Veracruz, Roberto’s sister, Frida, invited me to eat at a very famous outdoor food stand called “Sopes de la Doce.” Sopes are a Mexican snack made with corn masa. They are usually topped with beans or salsa and cheese. Sopes de la Doce is known for its unique peanut salsa. Up to that point, I had never tasted anything like it. It was spicy yet creamy, and it paired so nicely with the scrumptious sope. 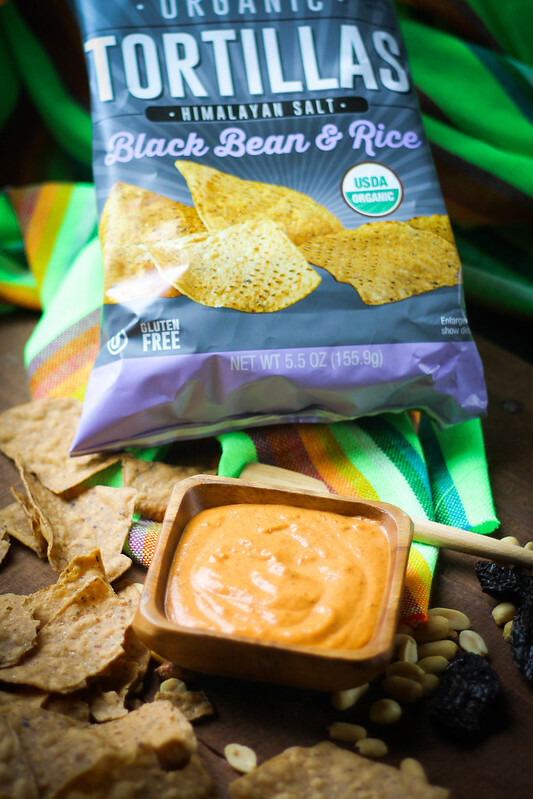 Recently, I was invited to join Esteban of Chicano Eats in a Chip & Dip pairing to celebrate March Madness, the arrival of spring, and launch of Good Health’s new tortilla chips: one made with vegetables and sea salt and the other made with black beans and rice. I love that both of these chips are part of the non-GMO project, and I was excited to see that the Black Bean & Rice chips are organic, too! Yay! The black bean chips reminded me of the base of a Veracruz-style sope, so I thought they would be perfect with a creamy peanut salsa. This is my version of the “Sopes de la Doce” peanut salsa that I tried many years ago with Frida in Poza Rica, Veracuz. 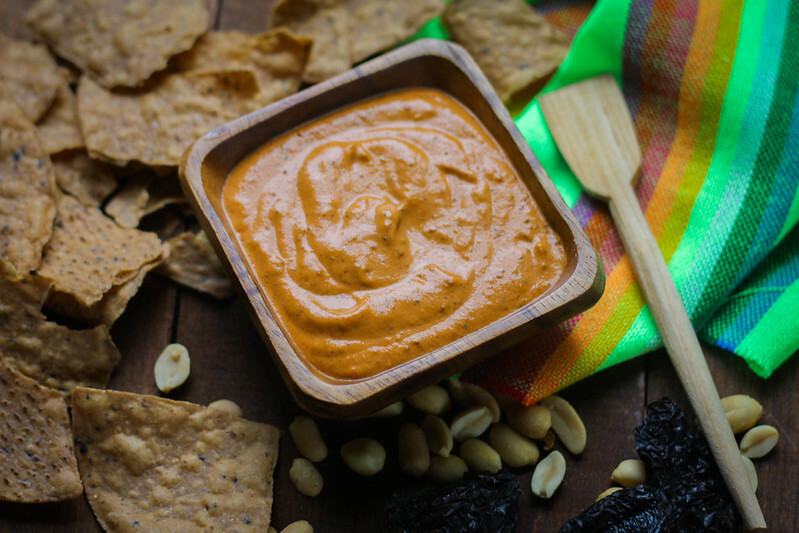 It has a smoky flavor from the morita chiles, and the peanuts provide a distinct nutty taste. 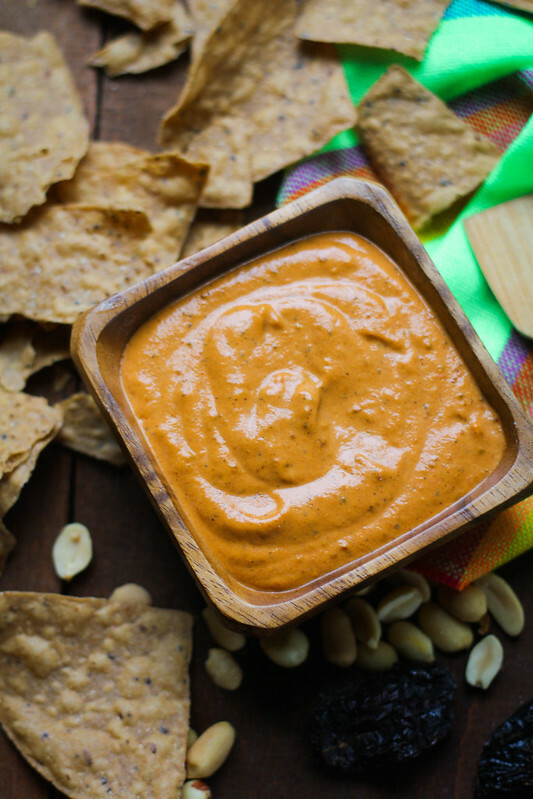 I absolutely love the creaminess of this salsa thanks to the nuts and olive oil. It would be perfect on a sandwich, too! I hope you enjoy the flavors of Roberto’s hometown. →Remove stem, seeds, and veins from the morita chiles. Be careful because these chiles tend to be hot and the oils can get under your fingernails*. Lightly toast the chiles on a dry comal/skillet for 2-3 minutes. They should smell fragrant. Be careful not to burn them or your salsa will taste better. Remove and set aside. →Lightly toast the peanuts. Once again, be careful not to burn them. They should smell slightly fragrant. Remove from heat and set aside. →Roast the tomatoes, garlic clove, and onion until charred on the outside. Remove from heat and place in a blender. Add toasted chiles, peanuts, and salt. Blend on medium-high speed to combine. Then, add in the olive oil to make an even creamier salsa. →If the salsa is too thick to blend, you may need to add a little water to emulsify it. Morita chiles look like large raisins. 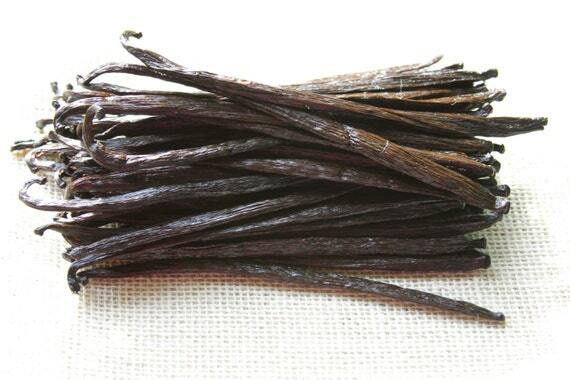 They are dark purple to black in color and smell smoky. You can find them at any Mexican/Latin grocery store. Sometimes I like to wear gloves when removing the seeds and veins from the chiles to prevent my fingers from tingling afterwards. Buenas tardes, Perla! Qué padre saber que eres de Tuxpan. Yo soy de Pittsburgh, PA pero mi esposo es de Poza Rica. He tenido la oportunidad de visitar a Poza Rica varias veces porque mis suegros viven allá y pasamos por Tuxpan una vez para que yo pudiera conocerlo. La playa es super tranquila. Me encanta todas las zonas diferentes del estado de Veracruz. Tengo que confesarte que el zacahuil es una de mis comidas favoritas y las estrujadas también! Puedo imaginar que extrañas mucho la comida mexicana viviendo tan lejos de México. Muchos saludos! Gracias por dejarme un comentario. Nicole, I’m so happy to see you share un pedactio de Veracruz! Veracruz is on the list of states to visit next year and this salsa makes me so excited for the flavors we will experience! Hola, Esteban! Mil gracias por invitarme! You are going to love Veracruz when you visit. My favorite city is Xalapa. It has so many good places to eat, and I love the relaxed vibe of the town. Don’t hesitate to let me know when you decide to go. I love to be able to give you algunas recomendaciones de mis lugares favoritos! Hi Nicole. Tu salsa de cacahuate y chipotle looks amazing. Next party this is going to be the dip I’ll be making. Oh what the heck I’ll make it today, can’t wait. Besos ! I love Veracruz! All my family from my father’s side lives in Veracruz (in Cordoba), and all my husband’s family on his father’s side does too (in Soledad, near Veracruz). We go there often, as might have guessed. My parents own a little beach house on Costa Esmeralda and we always stop in Poza Rica for lunch when we go there. My husband and I dream of moving there when he retires.